It’s that time of year, AGAIN. If you are an asthma and/or allergy sufferer you know what we are talking about. The Environmental Protection Agency suggests “Most people spend 90% of their time indoors, so indoor air quality should be an area of concern.” Have you thought about how installing a central vacuum system could assist in cleaner air in your home? In this article we will explain the benefits of having a central vacuum system in your home and how the air quality can be cleaner and healthier because of it. 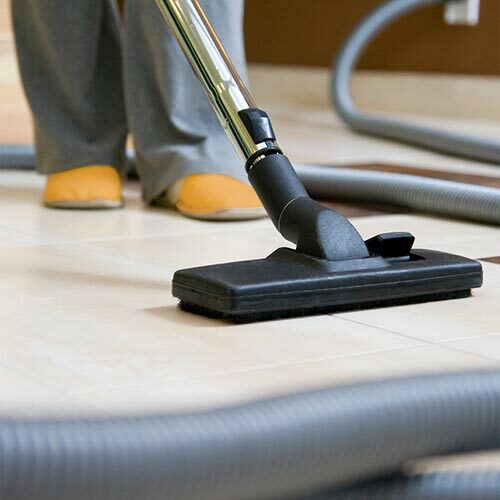 Basically a central vacuum system works by collecting the dust and debris through a flexible hose connected to inlets located throughout the home. Each of the inlets carries the debris through central vacuum pvc pipes hidden in the walls to a power unit and dirt canister which is usually located in the basement or garage. The dirt canisters are vented directly outside of the home thus ensuring no air exhausts into the room which may stir up pet dander and other allergens. This completely removes contacted allergens from living areas which means the central vac systems significantly reduces exposure to said allergens. Many options are available in regards to filtration technologies and the benefits of each. Please read our blog on what vacuum maid units have to offer. Think about the amount of dust particles that fly into the air and not into the trash bin when the canister is emptied. Allergens escape from these vacuums because even though a HEPA filter is present, debris escapes before passing through the filter. Another benefit in having a central vacuum system is it extends the life of your carpet . A central vacuum’s motor can be up to 5x’s more powerful than a portable vacuums motor. Because of this the central vacuum is able to remove dust and debris that is deep into the carpet as well as surface dust and debris. If you would like more information on Central Vacuum Systems, please feel free to give our technicians a call at 1-800-533-3249 or visit our website at https://qualityhomesystems.com/ . Don't forget to visit and like our FaceBook page. Thanks for bringing to my attention that a central vacuum system would help to improve indoor air quality. I had mostly consider a system like this for the convenience of not having to lug a vacuum cleaner around. I hadn't really thought about how it could improve air quality, but with that in mind, perhaps it would be a good idea to have a central system installed. I like how you mentioned that a central vacuum will help reduce the amount of allergens in the air. I have pretty bad allergies, and just dust is enough to set them off, so emptying the vacuum can sometimes make things difficult. I imagine that not having to dump dust into the trash (and the air) would help a lot with that, so maybe I could look into a central system. If you have any questions on need assistance on central vacuum systems please feel free to give us a call @ 1-800-533-3249.